On 30th January 1948 the father of free India who led us from slavery to freedom through non violence fell a victim to an assasin’s bullets. The nation reeled in agony when the light hat illumined for decades over the destinies of India went out. The great galaxy of national leaders took a decision to create National Trust in his memory to be called Gandhi Smarak Nidhi. As is well known, Gandhi Smarak Nidhi (GSN) was established by the Indian National Congress after the martyrdom of Mahatma Gandhi in 1948. To start with, the ad hoc committee constituted as per the decision taken on 6th February 1948 included great nationa leaders - Dr. Rajendra Prasad, Pt. Jawahar Lal Nehru, Sardar Vallabhbhai Patel, Chakravarti Rajagopalachari, Maulana Abdul Kalam Azad and Shri Jagjivan Ram amongest many others. On 13th February 1948, an appeal was issued by Dr. Rajendra Prasad to the people to donate liberally to the GSN. The Congress Working Committee approved these decisions and measures in its meeting held on 21-22 February 1948. Finally, on 17th December 1948 the GSN was constituted as a public charitable Trust having a 24 member Board of Trustees including the above national leaders along with other equally eminent national leaders. They sent out an appeal to the Nation to Contribute their might to the fund. The main purposes of the fund was to further the manifold constrictive activities in which Gandhiji was interested, and to preserve and propogate his teachings. Ten million people contributed Rs.10 crorcs 98 lakhs 29 thousand one hundred six rupees and ninety five paize ( Rs 10,98,106-95). In February 1949 the Trust was registered with 24 eminent political Social and Industrial leaders of the country as founder Trustees. 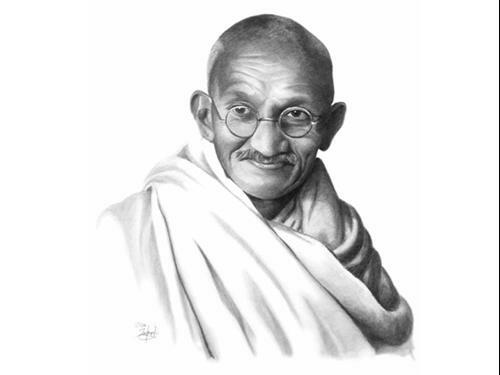 Objectives: The Trust deed laid down that income and also the corpus shall be used for conduct and promotion of the manifold constructive activities with which Mahatma Gandhi was associated and any other activities in furtherance of his ideals. From 1952 to 1959 the work of the Nidhi was conducted from Delhi. Various specialized organizations for carrying on work in exclusive fields of constructive work were set up. Later in 1962-63 separate state Bodies were established and registered as a State Gandhi Smarak Nidhi. 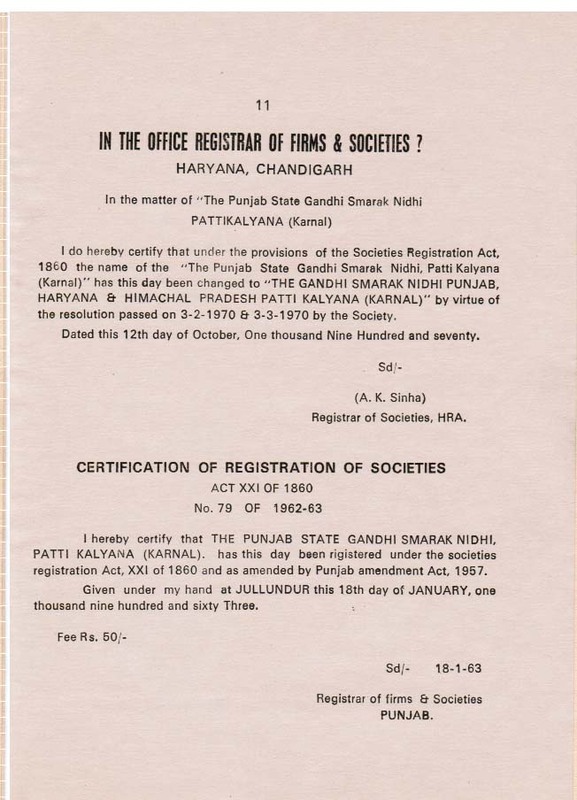 So in 1963 the Punjab State Gandhi Smarak Nidhi was registered as Independent Trust Named Gandhi Smarak Nidhi Punjab. When in 1966 the Punjab State divided into three states then Trust renamed as Gandhi Smarak Nidhi Punjab, Haryana & Himachal Pradesh. The Nidhi's headquarter is situated in Swadhyay Ashram, Village Pattikalyana, Tehsil Samalkha, District Panipat, Haryana (India) on G.T. Road just 70 Miles away from National Capital Delhi. The main purpose of the trust is "to further the manifold constructive activities in which Gandhi Ji was interested and such other activities of a like nature which give concrete shape to his ideas. The trust funds were also to be used for collecting, preserving and propagating his teachings"